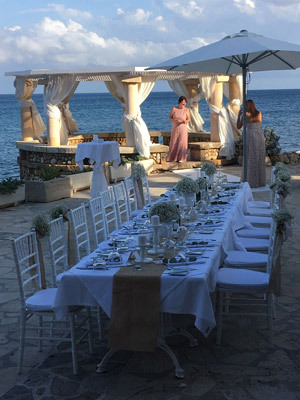 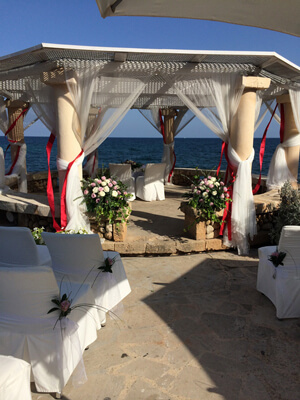 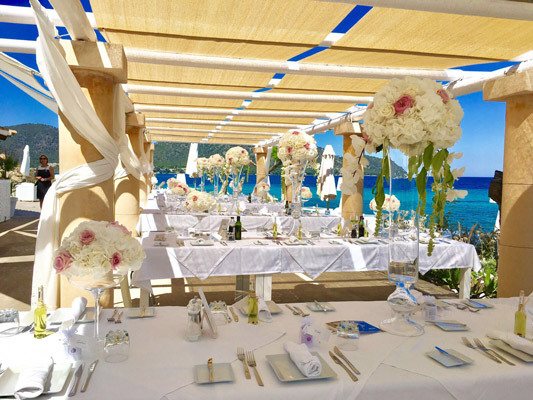 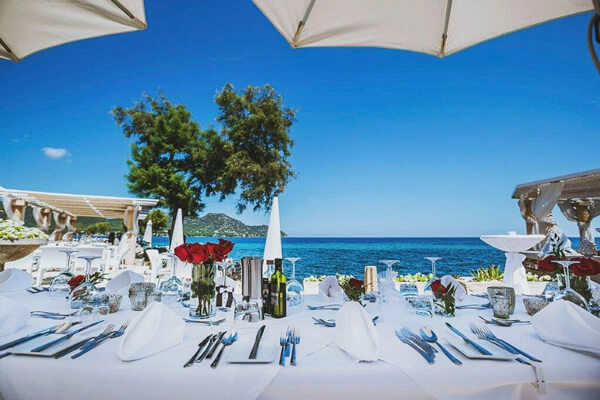 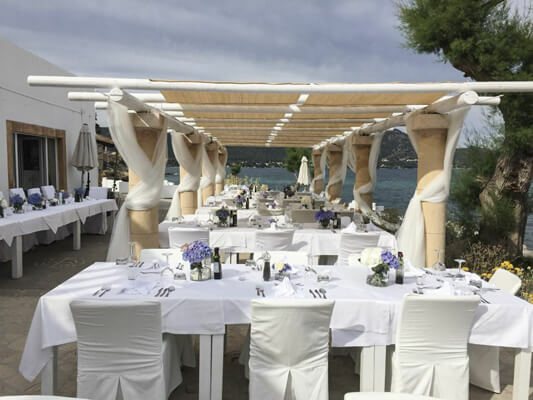 Our wedding location directly on the sea, offers you and your guests a fabulous setting. 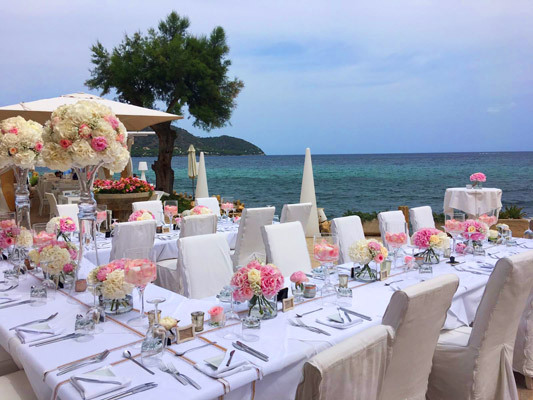 The most important day in the world of love is a wedding between two people in a romantic place. 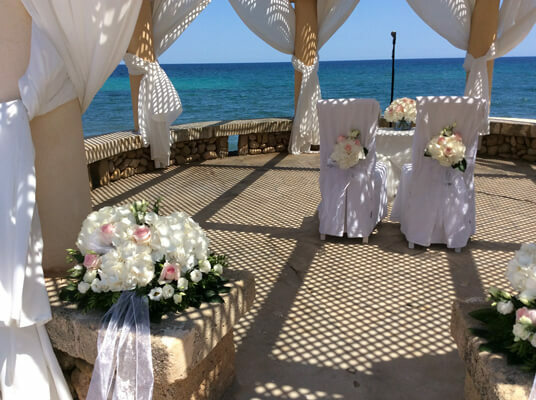 We plan “your most beautiful day” and assist you with it because we want your dreams to come true. 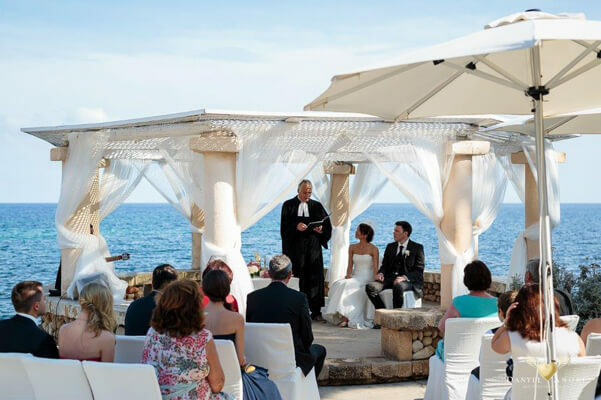 Enjoy a wonderful wedding ceremony in the beautiful circular pavilion above the sea. 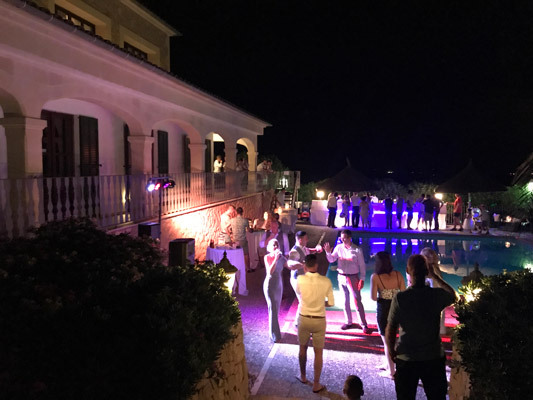 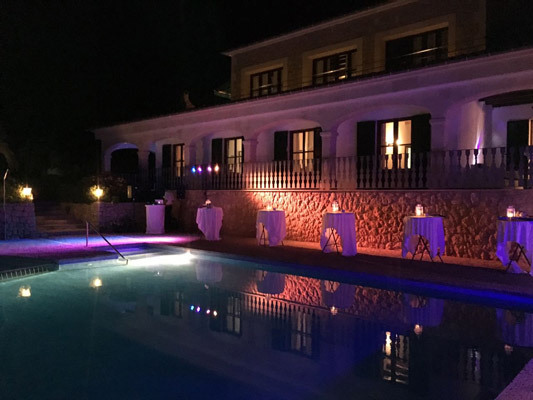 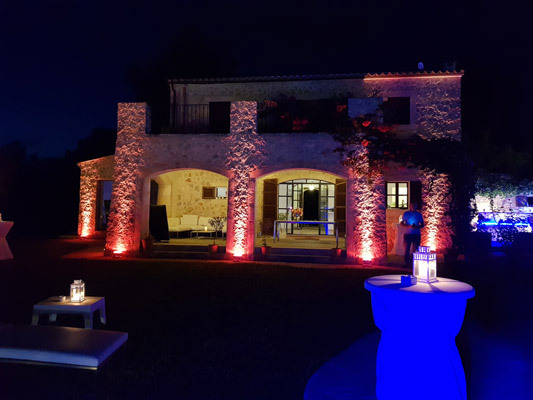 A reception with cava or champagne, in a mix of our white Port Verd furniture, with gourmet finger food, typical local tapas, barbecue food, a buffet, or multi-course menu options. 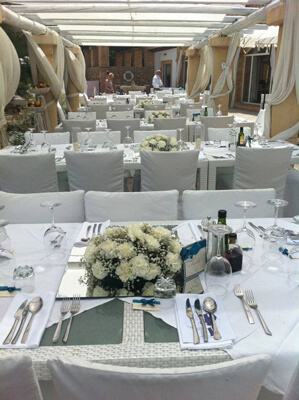 They are freshly prepared for you by our excellent kitchen staff. 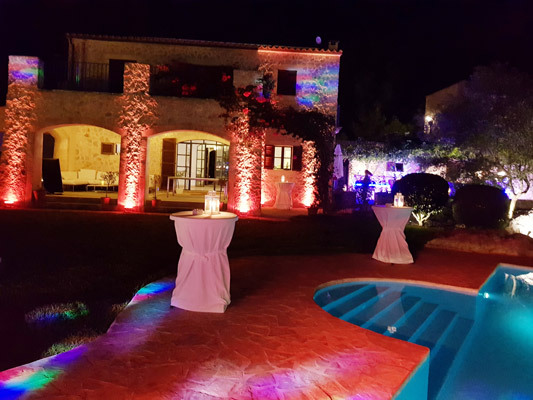 Enjoy this memorable evening – in our Finca event location, followed by a dance into the starry night. 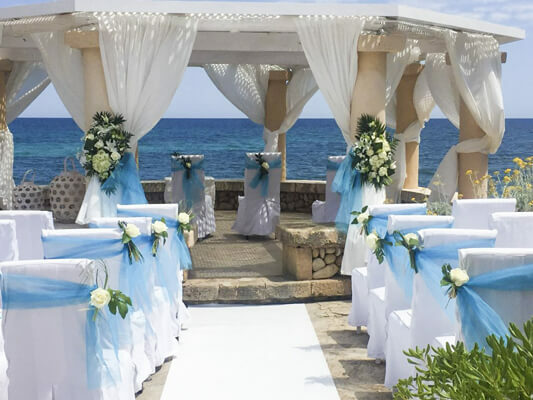 It’s an easy dream come true here with us. 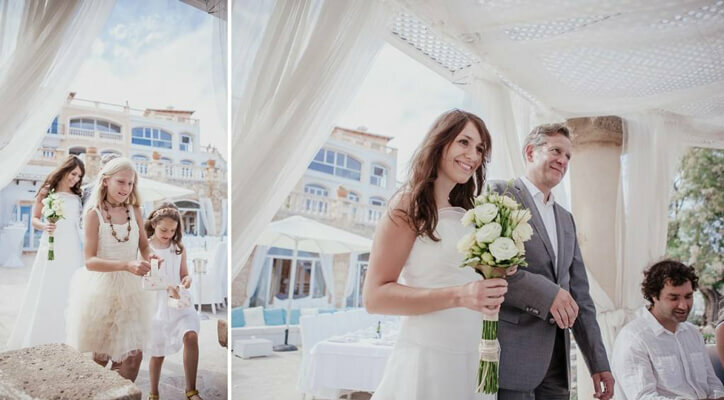 Enjoy this special day with your guests with brilliant highlights and make it an unforgettable experience on one of the most beautiful and romantic coastlines of Mallorca. 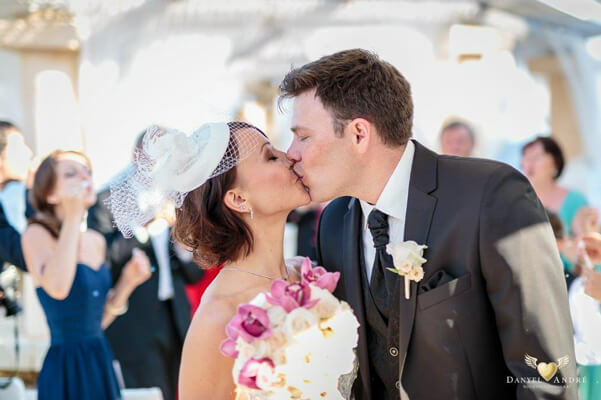 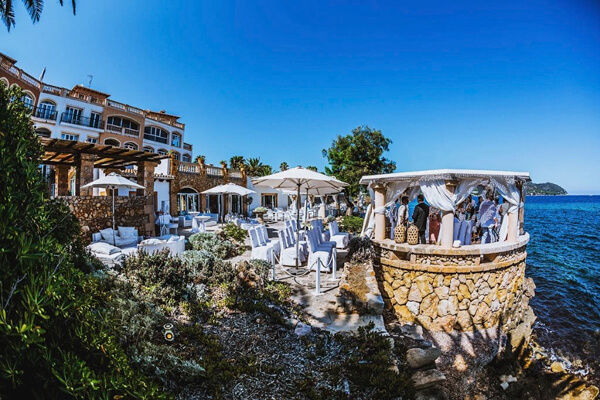 Your wedding at Port Verd del Mar?